You should add 5-10% additional concrete volume to your calculation to accommodate for waste and or spillage. If you would like our assistance in calculating your needs, please contact us @ (860) 354-3969 or (203) 756-6044. We are happy to help. Scroll down to use our calculator. It will allow you to check the different amounts of concrete you'll need to order. We have two calculators, really, one for flat pours, and one for piers (cylinders). we hope you find this helpful, and if you have any questions, feel free to contact us at (860) 354-3969 or (203) 756-6044. This is a great way to get a handle on how much concrete you'll need. Be sure to chat with us about your project if you have any questions ((860) 354-3969 or (203) 756-6044), we're here to help. to calculate the volume of an area, especially if that area is a cylinder. We created a tool to help you out with this. We have handled pours that had to be carefully timed to make sure we didn't let the mixture run too long, we've handled pours for a garden shed. With 20 trucks all over Connecticut we are unique in our ability to serve your needs! 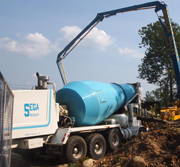 Ready-mix concrete is concrete that is manufactured in a batch plant, according to a set engineered mix design. Ready-mix concrete is normally delivered in a transit mixer. You'll see our trucks all over the area. 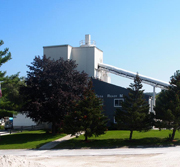 Materials are weighed and combined using our state of the art batch plants, and the hydration process begins the moment water meets the Portland cement, so travel and placement time is of upmost importance. Some sites are just too far away, however the use of admixtures, retarders and fly ash can be added to slow the hydration process allowing for longer transit and placement time. 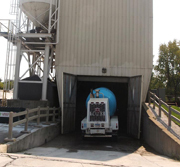 Concrete has a limited life span between batching / mixing and curing. 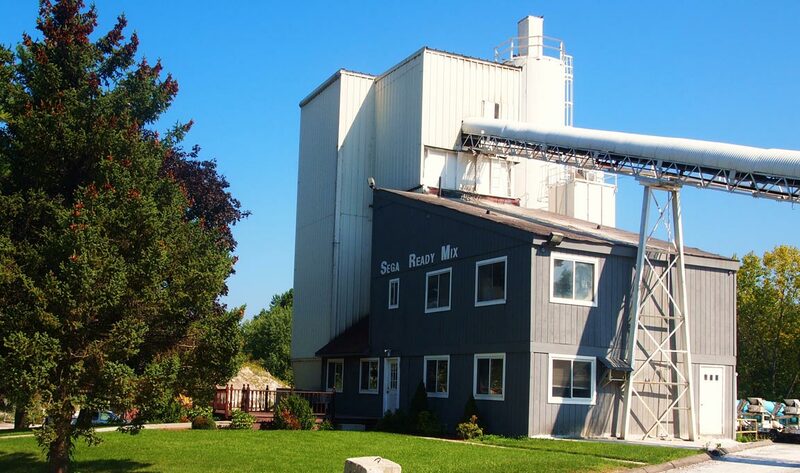 This means that under normal conditions ready-mix should be placed within 60 to 90 minutes of the batching process to hold slump and mix design specifications. Modern admixtures and or set retarding water reducers can modify that time span. However, it is limited in scope. The amount and type of admixture added to the mix is very important. Each batch of ready-mixed concrete is tailor-made according to the specifics of the contractor and is delivered to you precisely when you need it!